The Nature Mobile brings the environment to the Cedar Mill & Bethany Libraries! Each visit will feature new ways for your child to explore the exciting role nature has in their lives. Your children will get to touch, smell, and see new things that will spark their imagination and grow their awareness of the world. Drop in and discover nature’s diversity! Ages 5 and up. Discover animals big and small as we examine their bones and pelts to figure out how their adaptations help them survive in the wild. 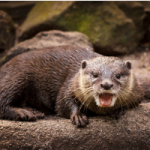 Investigate the interactions between predators and their prey. 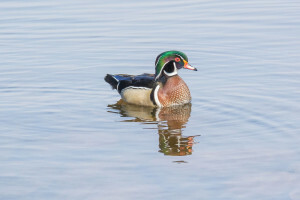 From nesting in trees to swimming in ponds, learn how to recognize one of the most colorful ducks in the world, the Wood Duck, next time you see one in your neighborhood park. Marianne was born in Oregon and spent most of her childhood in Beaverton. She is a graduate of the University of Oregon and, before choosing to become a librarian, spent over 15 years in advertising. Some of her favorite books growing up were Nothing At All, What the Witch Left, The Wednesday Witch and The Chronicles of Prydain series. She enjoys spending time with her husband and two kids and loves sneaking in episodes of her favorite TV series late at night.